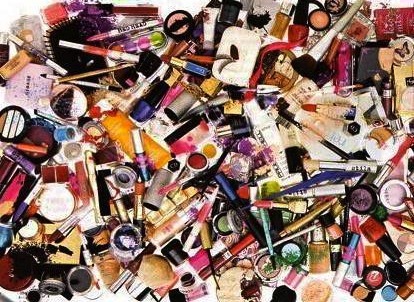 Confessions of a Makeup Hoarder: It’s Time To Organize My Stash… And It’s The Most PAINFUL Thing For Me To Do. I am a makeup hoarder. I admit it. Am I the only one out there who has this same problem? I think it started with my mother, who is an obsessive compulsive Filipino EVERYTHING hoarder. She used to get those Cosmetique monthly makeup subscriptions in the mail way back in the late 1970s-80s. Her bathroom was (and still IS) chock full of every makeup and perfume known to man. She even has lipsticks so old that the innards are a waxy, dry mess- but they are in gold metal cases and probably circa 1940s or 1950s, so she’ll never part with them. 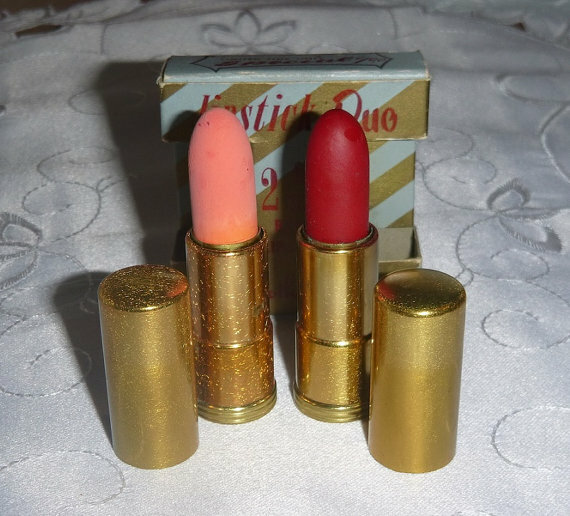 my mom actually owns antique lipsticks like these! My makeup stash, which consists of 2 or 3 professional trunk cases, one HUGE plastic 4′ tall cabinet with many drawers, and carelessly tossed beauty bags filled to the brim with things I’ve long forgotten about. 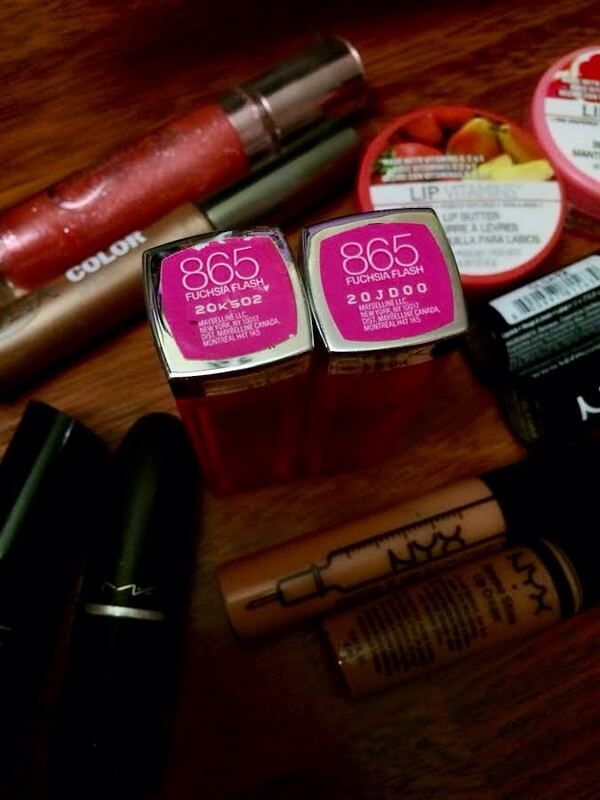 I have Nars, MAC, Lorac, Chanel just tossed in with the L’Oreal, NYX, and Maybelline. Some of these cases haven’t even been OPENED in years. The last time I viewed the contents of one particular makeup trunk, I’d used it to do makeup for some stage production I acted in about 3 yrs ago. I *know* that I need to throw away about 70-90 percent of the makeup I own. I actually WANT to do this- but it PAINS me, almost physically. Ok, I admit it. It *does* hurt physically. My frugal bits remember how much some of this stuff cost and I cringe- CRINGE- when I think of tossing it in the rubbish pile. It makes absolutely NO sense, but that’s the truth of it. I did the unthinkable this month and ordered subscriptions to Ipsy, Birchbox, and Birchbox Man in one fell swoop. I figured that I spend AT LEAST 40 bucks a month in miscellaneous beauty products, so it’s a good deal. However, the thought of having more makeup and product haphazardly strewn around my house frightens me. I’ve already run out of room in my ‘makeup storage area’. Even as I try to type this, my beauty product hoarding continues. For example, I bought a kabuki set of 32 cosmetic brushes tonight on eBay. My reasoning was that I couldn’t find half of my (dozens) of current brushes and I distrust my brush cleaning skills. I also bought two 24 compartment acrylic lipstick organizers- they were a great deal. I like deals. 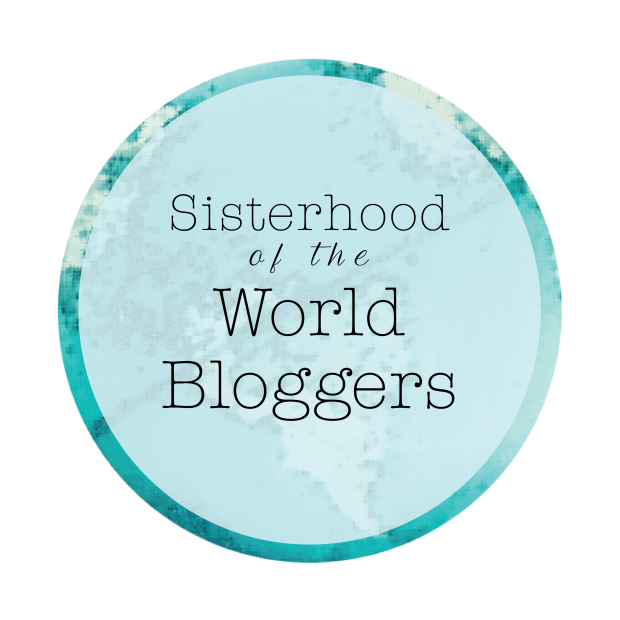 I love lipstick… do you see the way my impetuous mind works here? Did I NEED any of these things?! I found these in my upstairs bathroom. They are the exact same color. WHY did I need TWO of these?! So, instead of ACTUALLY CLEANING OUT my stash, I went on google to find other beauty hoarders. I am delaying the inevitable, I know this. Lo and Behold! 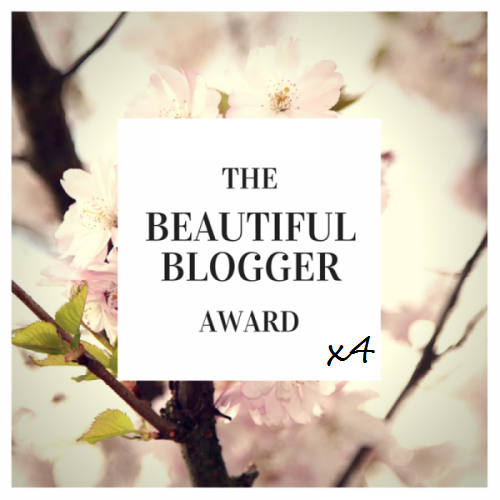 I found the blog of a beauty hoarding person EXACTLY LIKE ME- I could have written that post- except I AM FAR, FAR WORSE!! I am going to start small- my upstairs bathroom has my ’emergency makeup’ in it. That is where the first of my purging endeavors will begin. I have a few traincases LOL. 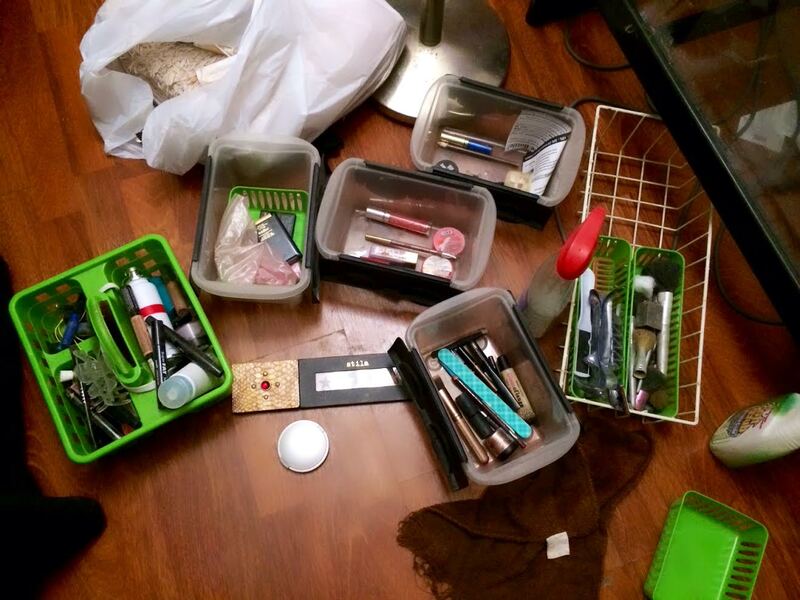 You have no idea… It’s like Imelda Marcos’ shoes (except with makeup) in my house.